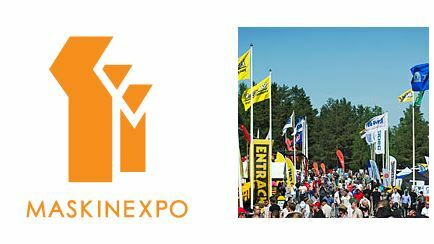 Maskin Expo: Stockholm, Sweden - Kobelco Construction Machinery Europe B.V.
ADDITIONAL INFO: MaskinExpo 2016 will be held at STOXA, Stockholm Outdoor Exhibition Area – the country’s best exhibition site for plant and machinery fairs. Now also with light commercial vehicles, farming machinery, park and landscaping exhibitors. Exhibition site is approximately 300,000 m² and offers exhibitors unique surroundings for showing off their products.